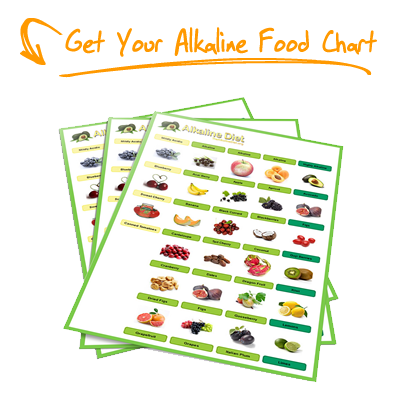 Did you ever wonder about what is in the alkaline diet and how this works in the body? Did it also enter your mind on how this is applied but could not get a grip of what it involves? This article will help you understand the alkaline diet and the implications it has as well as the changes it can bring your body. 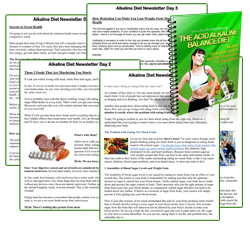 The acid alkaline diet is a straightforward and basic approach to maintaining health. This is backed up by extensive research and science by Dr. Robert Young who is a biologist and a blood microscopist. 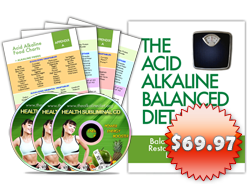 To fully understand the acid alkaline diet, it is best to first understand the details of the diet. The body is naturally alkaline. The pH level of the body’s cells and fluids like the blood is naturally at 7.365 that may be described as slightly alkaline. And like the way that the body will naturally regulate one’s temperature to stay in tight range, it will do the same for one’s pH level of the different body fluids. And as the body creates acids naturally by the functions of the body, the small buffering system of the body’s alkaline level keeps one alkaline. The body naturally maintains the cells, blood and other bodily fluids at slightly alkaline level which is 7.365 and it will keep these at all times and will function to maintain the balance. And as it does this, the body will use its stored alkaline buffers to help neutralize acids that one gets from the foods that they eat or from the natural excretion through the body’s processes. Such buffers of the alkaline diet are easily depleted since many eat all sorts of foods unaware of the acid contents of it. In context, pH scale may be described as logarithmic in short pH 6 is ten times more acidic compared to pH 7, and pH 5 is hundred times more acidic compared to pH 7 and that pH 4 is a thousand times more acidic. Sodas have a pH level between 2 to 3. So one can easily imagine what a diet of meat, fizzy drinks, dairy products, alcohol and others could do to the stored alkaline in the body that results to its quick depletion. And once people deplete these stored alkaline in their body and still consume highly acidic foods, what will happen to the body? The body draws alkaline minerals to the places in the body it can source from like for instance, the body will draw out more calcium than the usual to help neutralize these acids however the results of these drastic measures done by the body will eventually lead to the emergence of osteoporosis symptoms hence articles that relate soda consumption is strongly related to osteoporosis condition. With the many changes that have evolved around us, one’s lifestyle and diet has drastically changed over the years and it cannot be denied that it is because of such that acidity of one has also increased over time. The factors that commonly contribute to one’s acidity are stress, diets, emotions, lack of physical exercise, and many others. Now targeting the diet, one can say that most of the foods that are naturally acidic or contain too much acid are sugar, yeasts, trans fat, dairy products, alcohol, simple carbs, refined or process foods and many others. These acids are contained in foods that most people love like colas, fizzy drinks, chips, pizzas, cakes, microwave meals, biscuits, crisps, caffeine, breads, fatty meats, cheese, ice cream, beers, wines, smoking, condiments, creams, milky drinks and many more, some of the foods people already know off. Foods that are naturally alkaline are those of fresh organic vegetables, omega oils, salads, seeds, nuts, whole grains, and pulses. It is important that as much as possible one should eat these raw, fresh and organic to have the best nutrients that one can get out of them. Of course you should also drink a lot of fluids especially water and fresh fruit juices as they are also rich in alkaline content. Such guidelines are not that hard to follow and very simple to follow and understand. You can easily group foods into alkaline or acid rich based foods and one can do this very easily. So the following may be good rules to follow to properly group foods into alkaline or acid rich based foods. 1) If the food is rich in alkaline minerals such as potassium, calcium, sodium and magnesium then these are sources of alkaline for the body. 2) However- even if the food does have alkaline content in them but contains the following, then these may be said as acid rich based foods. With these, one can understand some misconception of foods that may be said to be acid or alkaline based. Some fruits for instance are unfortunately high in acid because of its high levels of sugar content. For instance, bananas are rich in potassium and have 25% sugar content. The only fruits that are acceptable to be alkaline are lemons and limes- good for flavorings and dressings, tomatoes, avocados, watermelon and grapefruit; these fruits are alkaline based because these contain low sugar levels. Sugar is one great issue since the blood tends to deviate from the normal pH level of the body that is 7.365 which results to major stress of the entire body. The body needs to keep the normal pH levels intact and to do this it will go to extreme steps and sacrifices. Stress, lack or no physical activity and emotions all contribute to one’s alkalinity or acidity. Dr. Young with his extensive analysis of the live blood has actually noticed that emotions have an effect to one’s blood and health twice as much and so all of the aforementioned factors do in fact contribute to the wellness of the body. Exercise is generally essential to the body since it helps pumps blood to circulate in the body as well as lymph to help eliminate wastes and supply enough oxygen to the different organs and cells. This is all the detailed explanation of what the acid/alkaline diet is and how it works in the body. The body is naturally designed to be in an alkaline state and it will do all measures to keep it that way for a long time. And so when one consumes acidic rich foods, avoid exercise and then continually go on being stressed and experience negative emotions it is likely that the body gets overwhelmed with too much acid that may result to all sorts of complications. It is not surprising that people already know acid rich foods that are harmful to the body like sodas, chips, sweets, burgers, beer, dairy product and etc., this goes the same for foods that are good for the body which many of us already know of as well like leafy vegetables, fresh foods, salads, seeds, nuts and etc. To successfully achieve an alkaline diet, one needs to start a 70 to 80 percent alkaline rich foods and limit or restrict from eating acid based foods. Don’t forget to also drink 3 to 4 liters of pure water everyday to be more refreshed, energized and rejuvenated. It is always good to listen to your mom and eat green vegetables every day.